Where was I? – My thoughts on a page. 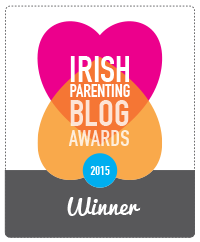 As I dust the cobwebs off my blog I am so delighted to be back. ‘Where were you?’ I know you all are shouting. ‘Why have you not been writing?’ I hear you cry. ‘We have missed your posts so much,’ I imagine you sobbing. Well let me assure you all is well in my world. Last week was my final week coaching swimming and we finished the swim year off well with a four day competition during which the swimmers dug deeper than I could have thought possible and on more than one occasion achieved what some might have thought impossible. It was a thrill and a privilege to share it with them. So today was day one of my holidays. It wasn’t exactly filled with hours of doing nothing, because come Saturday we are off on holidays. It’s a holiday with a difference, for we are going away childless. Imagine just the two of us, together twenty four hours a day… Yikes perhaps it would be best for me not to imagine it! How wonderful, I hear you say. Where are you off to? Somewhere exotic? Somewhere warm? Eh no! We are off to walk in the West Highlands of Scotland. I am so looking forward to it. On warm sunny days I imagine how beautiful it will be, then it begins to lash and I wonder are we mad? However the flights are booked so there’s no going back. Actually the only thing we have booked are the flights. I wake up every day and think, ‘Sweet Jesus I’d better book a car.’ However time whizzes by and I forget. Now we are facing the nightmare of discovering that despite my contacting numerous bed and breakfasts, hostels, yurts and shepherds huts (I’d never heard of some of those either, but when you’re desperate…) they are all booked. I use the word ‘we’ lightly. In fact, just between us, I’ve told himself it’s all sorted, so a small bit of panic is beginning to build in me now. However tomorrow is another day so hopefully I’ll stumble upon some hidden accommodation and a car. Despite the fact the only place on earth we fight like cat and dog is in a car and that we may end up sleeping in it, I’m so looking forward to going. This year I hit a big birthday (no I’m not saying which one) and when most of my friends hit the same one they marked it with special holidays. Some went on a cruise, others to Australia or New York. We have much in common as friends but holidays is not one of them. 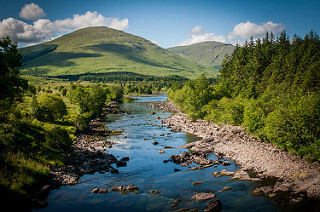 This weekend I fly off I go on MY dream holiday, hill walking on the Scottish West Highland Way. Fingers crossed we don’t kill each other and I live to see another year. I’ll keep you posted. Come on you boys in green. Tric, enjoy the Highlands. I can’t imagine many better places to go. Look forward to hearing out it pans out!!!! Thanks. I’m sure I’ll have a story or two to tell! Thanks. It should be good craic alright. I can so identify with all of this – have a wonderful time and hopefully I’ll see you on my trip that I’m still planning when you get back. ) so good to know that you turned 25 this year! Haha. Yep 25. See you soon! Here’s hoping you don’t kill each other, especially if you have to sleep in the car. And don’t get lost. Have all that info with you…at the ready. Have a super trip! I will look forward to reading about it. There are some things guaranteed about this trip. 1. We will kill each other. 2. We will get lost. 3. We will have no doubt the other is responsible if all that goes wrong. 4. We will have an amazing time. Happy big birthday celebration trip! I’m happily jealous!!!!! I hope we get to see a picture or two. I’m sure I can oblige Colleen. Thanks, it’s so close now I can’t believe it. Hopefully by tomorrow I’ll have it all sorted, but this last minute dot com carry on has it’s disadvantages. I’m sure I’ll have no problem writing my first post on return! I’m not sure about every second, but I’m so looking forward to it. I was reading your post on Portugal at the same time you were reading this! Well either you buy a tent or borrow a donkey to carry the tent and sleeping bags and camping gear etc etc or you could hire a camper van. Or bikes. Strap it all to your backs and pretend you’re in the Tour de France. Sure it’ll be grand. It’ll be grand indeed. Thankful accommodation sorted and it looks fab. Scotland here we come. You’ll find something…a sheep cote or root cellar. 🙂 Seriously, it sounds like a wonderful trip. The Scottish Highlands is a destination high on my list. Can’t wait to hear about it 🙂 Have fun! I’ll take a few photos to feed your interest. We got accommodation yesterday so all sorted. Can’t wait. Thanks Irene. It should be a great trip. I hope you have a great time in Scotland. Um… take an umbrella.